How we respond to the Moon’s powerful influence is key to how we live our lives. The Moon sets the tone of the day and when we can register the Moon’s sign, we know what to expect and how to operate at our maximum level. Understanding these signs and cycles allows us to gain a greater understanding of ourselves and those around us; it gives a beneficial tool that can be used to grant ourselves deeper knowledge of a friend, partner, or boss, and how to get along smoothly with them. 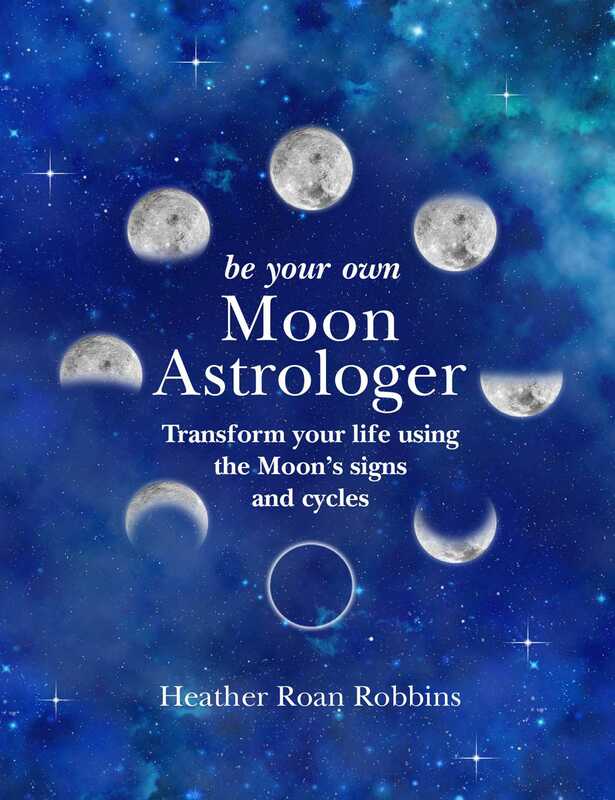 Be Your Own Moon Astrologer explores the meaning and usefulness of the Moon each calendar day, how to make the most of our time, the Moon’s relationship with other planets in our solar system, and how to use those important aspect-relationships to fine tune our planning. When all of these elements work together, we can take charge of our lives in a positive, healthy, and proactive way. Heather Roan Robbins is a writer, ceremonialist and astrologer committed to bringing high-quality intuitive arts to the public in an accessible and useful format. She writes a weekly column, Starcodes, and a radio blog AccessAstrology that both track our energetic weather conditions by day, not by sign, and is president of the Twin Cities chapter of NCGR, a national organization for astrological education. Heather developed her uniquely grounded but soul-centred approach as she worked with astrology in an active private practice as well as in her work as personnel manager, mother, and in collaboration with several therapists and life-coaching groups. She lives and practices in Minnesota, USA. For further information, visit www.roanrobbins.com.